packaging needs and environmental sustainability. These Industry Guidelines contain established technical methods on how to obtain a dust-free paper sack after filling with cement or similar building materials. 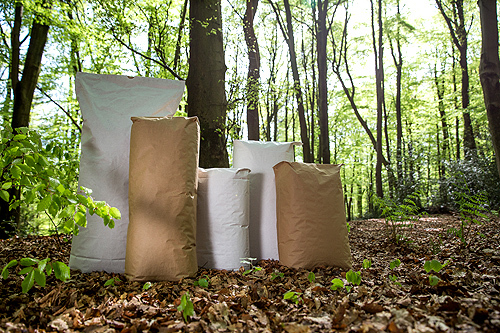 Whether using special fibres to assure strength, special barrier materials to assure moisture protection and long shelf life or special sack constructions to assure quick filling and easy handling, paper sacks are the No1 packaging choice for numerous powdered goods. They offer functionality, sustainability and cost efficiency. For more than 15 years the kraft paper and paper sack industry has run studies to measure its environmental impact, providing the basis for continuous improvement. Today more than 50% of the total energy consumption of the European pulp and paper industry comes from biomass fuels which are CO2 neutral.